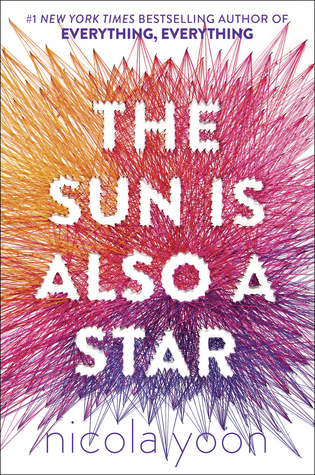 As I enjoyed Everything, Everything so much, my friend Chloe offered The Sun Is Also a Star for me to borrow. I agreed delightedly, and I wasn’t disappointed. “Stars are important,” I say, laughing. Let’s start by saying this is definitely my kind of book. It’s beautiful and poetic, which hidden meanings and uniqueness and some astonishingly lovely quotes. I knew I was going to love it from the very first page. Before I start, I just have to mention the extraordinary diversity in this book. A Korean-American boy and Jamaican-American girl meet and fall in love. They both come from backgrounds where they have encountered difficulties because of their nationalities, but this book shows the progress we are making in this world. “Sure, but why not more poems about the sun? I loved many things about this book. The characters merged beautifully, especially coming from different backgrounds. I loved the plot, and the way we saw the story progress in only a day. I loved the detail, and the fact this book left nothing to the imagination. I felt like I knew Natasha and Daniel and their feelings inside out. I also love the unique chapters (talked about in more detail below), and the insight we had into the characters years in the future. In some books, you will leave a character wishing you knew where their lives were leading. I felt like this in Everything, Everything, and it was very refreshing to have something so different. The only negative thing I have to say about this one is I found it a little confusing to get into. Yes, this book focuses on Natasha and Daniel, but it also distributes random chapters about anything from fate to love to eyes to a random minor character. At first, I kind of didn’t see the point, and I just wanted to get back to what was happening with our two lovebirds. But as the book progressed, I could see the importance. I wanted to know the story of the minor characters, and it made the book different. In YA, we usually focus on just the main characters and their viewpoints, but this book offers the feelings behind everything. One of the chapters (as mentioned above), was entirely about eyes and the connection two people feel when looking into each other’s eyes. It was only a couple of pages long, but it was utterly beautiful. I wish I could write something like that. P.S. A great read if you love the work of: Jennifer Niven, Rainbow Rowell, Emery Lord, Jenn Bennett and Crystal Sutherland – to name a few! P.P.S. The way they made this cover is incredible! I would love to re-create it. I hadn’t really thought about how alike the plots are between those two books before. Great review!